What exactly are Surge Protector Ratings? What information should be included to help determine a quality SPD? Although there are a number of categories that are standard, it can vary depending on who’s marketing material you’re studying, who's website you're reviewing and the type of SPD in question. Overall, the purpose of this data is to provide an overview of safety and capabilities for a particular SPD. Among other things, surge protector ratings are often used to compare and contrast competing devices. 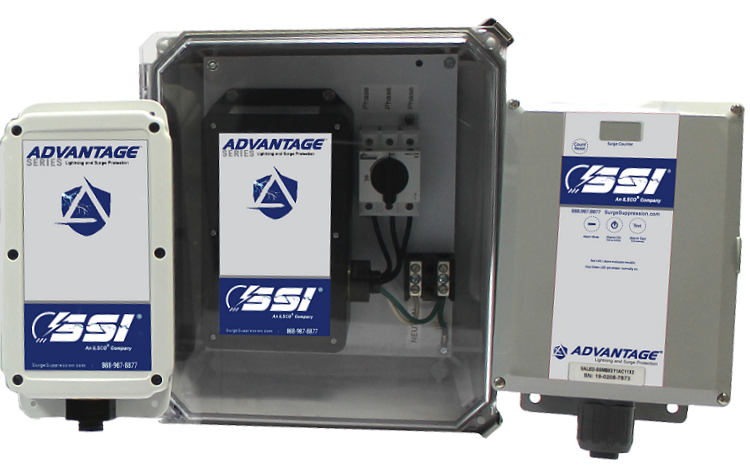 With over 30 years of SPD design, SPD testing and in-the-field experience, we're confident we know what to look for when reviewing surge protector ratings. We're comfortable navigating through the confusing world of marketing material and spec sheet information. As listed above, there are a number of characteristics that can be used to create Surge Protector Ratings. We focus on characteristics and data that our experience tells us are the most effective and reliable in the SPD evaluation process. Power SPD's include hardwired panel (type 1-2), individual equipment (type 2CA) and plug-in (type 3) devices. This is determined by the highest single shot a SPD can withstand without failure or degradation. This will vary per device type usually depending on it's intended install location (C,B,A). This rating will also very depending on device design. The higher the rating, the more robust the device. MCOV or Maximum Continuous Operating Voltage is the maximum voltage allowable before the device begins to operate (clamp). Typically, this is 15-25% above nominal system voltage. We don't recommend MCOV being less then 15%. VPR or Voltage Protective Rating is a byproduct of the UL 1449 Safety Standard. The byproduct of the test are let-through voltage (limiting voltage) scores. These resulting scores are then placed into a range of predetermined values in the VPR Table (330 volts, 400 volts, 500 volts, 600 volts etc.). Let-Through Voltage is remnant voltage passed from a SPD into the electrical system after a surge event. VPR provides a general range of what that voltage might be. The VPR range does not provide a true performance score. SPD's that provide Limiting Measured Voltage test results, conducted by independent test labs, using industry standard protocols reveal a more accurate score. SCCR or Short Circuit Current Rating is the amount of available current that the SPD can be subjected to and safely disconnect from the power source under short circuit conditions. This rating can vary between devices and device types. The highest SCCR is 200 kAIC. A mode is a distinct pair of wires protected by a SPD. Modes are classified as either Normal or Common. Many SPD's in the market place share components between modes as a protection design. This reduces performance, reliability and durability when compared to True All-Mode methodology. However, the trick is determining True All-Mode from Reduced Mode when both are advertised as "All-Mode." Frequency Responsive or SineWave Tracking is not EMI/RFI Filtration. This technology is designed to react to changes in frequency as opposed to changes in voltage. This design approach protects against RingWave Surges. Like Voltage Responsive Technology, Frequency Responsive CircuitryTM or SineWave Tracking Technology will vary in quality and performance. This can vary by manufacturer and by SPD design. 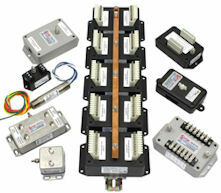 Fusing or Circuit Interrupt capabilities of SPD's can vary by manufacturer. Different technologies and designs are used to address SPD operational safety concerns. Component Level Thermal Fusing and Internal Over Current Fusing are two options. This fusing combination delivers safety and doesn't require additional fusing if installing directly to the busbar. Safety Certifications are not required. However, they are beneficial and many engineers, associations and trade groups may not use a SPD without a Certification Marking/Seal. Safety Testing Organizations include UL, CSA, ETL and others. Underwriters Laboratories (UL) is the most common in the United States. CSA, ETL and other safety certification organizations provide the same test requirements as UL. In the United States, all testing organizations fall under OSHA. Reviewing the product Warranty can be a good way to help validate marketing materials and surge protector performance claims. However, it's important to read through the Warranty and understand what it actually provides for. A Warranty should be straight forward and easily enforceable. It should cover manufacturing defects and operational failures incurred during the warranty period. Many SPD warranties only cover manufacturing defects. Data and Telecom include; telephone line, T1, coaxial, ethernet (Cat5+) and others. For additional information or to inquire about having a SPD tested to verify marketing data... please contact us. Get the right Surge Protector with the right Surge Protector Ratings. Don't settle for anything less when it comes to protecting your sensitive electronics and electrical systems. We provide High Quality, High Performance SPD products and SPD Options for real world applications.